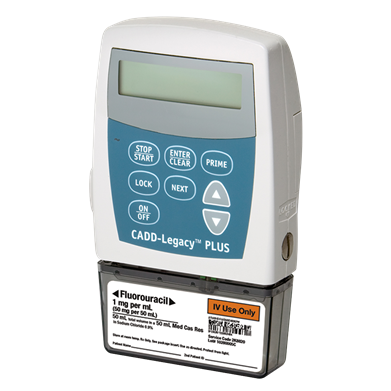 Buy or rent pre-owned, recertified CADD Legacy PLUS 6500 Ambulatory Infusion Pumps today. All pre-owned medical equipment is patient ready equipment and is covered by an OEM matched warranty. 1.6" x 3.8" x 4.4"